The Ministry of Defence (MoD) on Thursday cleared the procurement of six advanced submarines for “over Rs 40,000 crore”. This acquisition, codenamed Project 75-I, has been in the pipeline for a decade. The six submarines will have “air independent propulsion” (AIP), which will allow them to remain submerged for up to 14 days, during which it is difficult to detect them. Conventional diesel-electric submarines must surface every 48-72 hours to charge their batteries, when they become vulnerable to detection. “This is the second project under the MoD’s ambitious Strategic Partnership (SP) model that… envisages indigenous manufacturing of major defence platforms by an Indian SP who will collaborate with a foreign OEM (original equipment manufacturer) to set up production facilities in the country,” stated the MoD. “Today’s DAC (Defence Acquisition Council) approval would be the second such (SP model) project following indigenous production of 111 naval utility helicopters that was approved in August 2018,” it said. In 2017, the Navy sent out “requests for information” (RFIs) to a number of global OEMs, soliciting interest in Project 75-I. The navy chief, Admiral Sunil Lanba, stated in December 2017 that four vendors had come forward: ThyssenKrupp Marine Systems from Germany, Kockums from Sweden, Naval Group from France and Rosoboronexport from Russia. This has opened the door for a two-track process: floating a global tender to select the OEM, while simultaneously going ahead with shortlisting prospective Indian SP firms. Once that is done, the SPs will bid in partnership with their chosen OEMs. The selection and contracting process and the actual building of six submarines could take another decade. 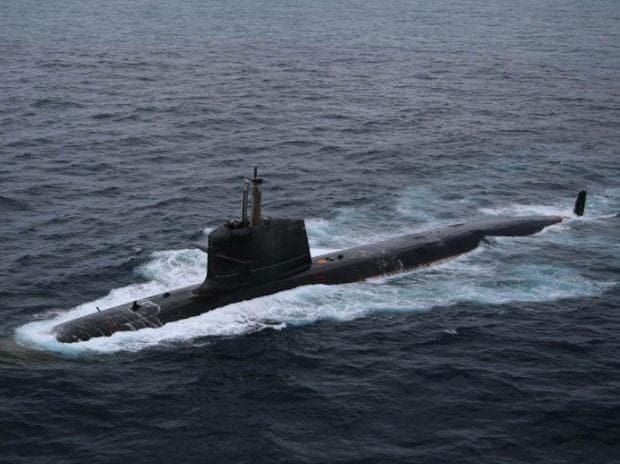 Meanwhile, the navy will make do with a depleted conventional submarine fleet that consists of nine Russian-origin, Kilo-class vessels; four German-origin HDW boats; and six French-origin Scorpene submarines being built by Mazagon Dock Ltd, Mumbai. In addition, the Indian Navy operates one Akula-class nuclear submarine leased from Russia, and plans to build six indigenous nuclear attack submarines (SSNs). There will also be four-to-six Arihant-class nuclear ballistic missile submarines (SSBNs). These will be a part of India’s nuclear deterrent, with no role in conventional naval warfighting.